The USM 69 is a stereo FET condenser, with two large-diaphragm capsules stacked atop one another. Both capsules support five selectable polar patterns, enabling the microphone to produce numerous single-point stereo patterns, including X-Y, Blumlein and Mid-Side. The mic is based on the SM 69 fet, and uses identical capsules. [The USM 69 i’s] acoustical characteristics are identical to those of the well-known SM 69 fet stereo condenser microphone [because] the entire capsule configuration has been adopted from it unchanged. In keeping with Neumann’s lineage of stereo large-diaphragm mics dating to the original SM69, the USM 69 uses capsules from the K67 family — specifically, in this case, the K870 from the U 87 Ai. The K870 is a dual-diaphragm 34mm capsule with center-terminated 26mm Mylar membranes. Two 5-way pattern switches are mounted on the body of the microphone. The two capsules can be independently set to Omni, Wide Cardioid, Cardioid, Hypercardioid, or Figure-8. X-Y - Set both capsules to Cardioid; rotate the top capsule 45°–120°. Mid-Side - Set the lower capsule to Cardioid; set the top to Figure-8 and rotate it 90°. 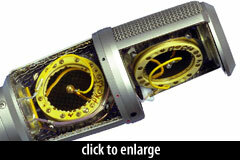 Blumlein - Set both capsules to Figure-8; rotate the top capsule 90°. 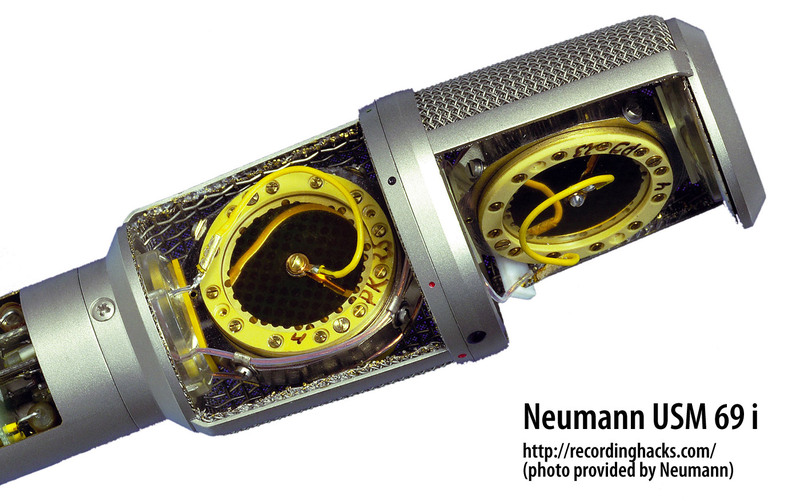 Neumann suggests that both capsules can be configured identically and recorded simultaneously to a second input channel for backup purposes when recording critical material. Alternatively, the output from the two capsules can be combined externally to produce “exotic” pickup patterns, such as variations of wide- or hypercardioid, that are not supported by either single capsule. 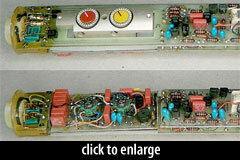 Output transformers are used for impedance conversion. The mic has a single XLR5M output connector. The USM69 is basically a double U89 circuit. The Neumann USM 69 is also known as: USM 69 i, USM69. The mic was released in 1979.